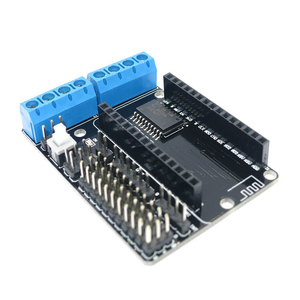 Shenzhen Shiji Chaoyue Electronics Co., Ltd.
Shenzhen Shenkangda Technology Co., Ltd.
Shenzhen Crownhaosheng Technology Co., Ltd.
4.We'll arrange the shipment when receiving your payment. 6.We will track the goods until you receive it. 3. It will takes 3~5days for shipping (depending on the destination country). Shenzhen Xiangyangwei Electronics Co., Ltd.
3.We are not responsible for any accidents, delays or other issues that are the responsibility of the express company . 4.Any Electronics component must be returned in their original condition to qualify for a refund or replacement. We have won a good reputation from our clients due to our great perfect post-sales service and the quality of products. 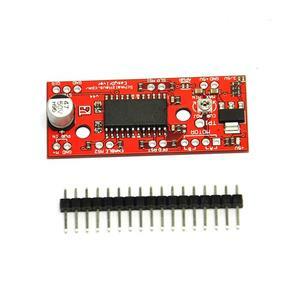 Shenzhen Flyfun Technology Co., Ltd.
Shenzhen Exportise Technology Co., Ltd.
By working with the Arduino UNO R3 controller to drive of dc motor speed and direction at the same time or independently. 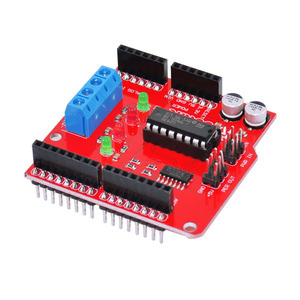 Suitable for 2WD mobile platforms which can be controlled by dc motor , stepper motor and need IO port output large current related applications. We look forward the opportunity to demonstration our superiority of service, quality and best price from a long term business relationship with our customers! 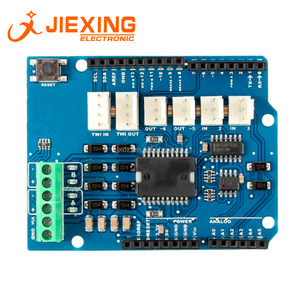 Shenzhen UMEAN Technology Co., Ltd.
Shenzhen Landatianrui Electronic Co., Ltd.
Shenzhen Haoxingjie Electronics Technology Co., Ltd.
Up to 4 bi-directional DC motors with individual 8-bit speed selection. Up to 2 stepper motors (unipolar or bipolar) with single coil, double coil or interleaved stepping. 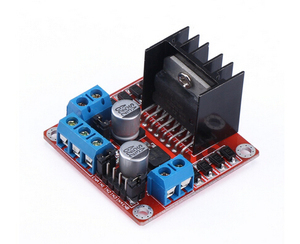 2 external terminal power interface, for seperate logic/motor supplies. 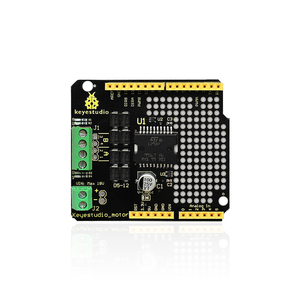 Onboard ESP8266-12 stable industrial grade serial WiFi module, using an enhanced PCB antenna, signal better. 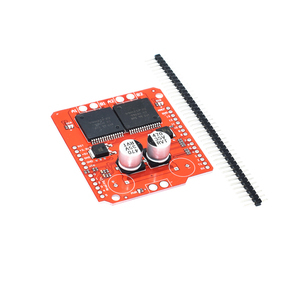 Onboard ESP8266-12 stable industrial grade WiFi module with a metal shield, immunity to interference. 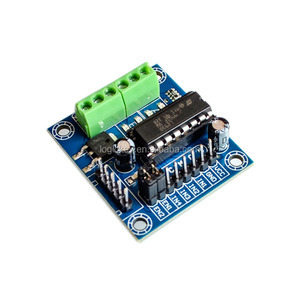 Onboard ESP8266-12 standard pitch leads to a stable industrial grade WiFi module all interfaces, enabling developers to easily develop deep. 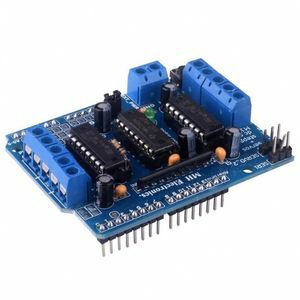 Alibaba.com offers 213 motor shield arduino products. About 37% of these are other electronic components, 18% are integrated circuits, and 1% are stepper motor. 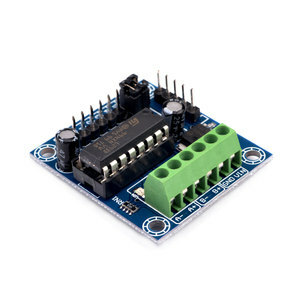 A wide variety of motor shield arduino options are available to you, such as free samples, paid samples. 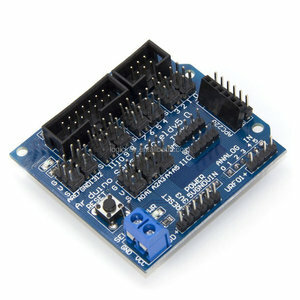 There are 143 motor shield arduino suppliers, mainly located in Asia. 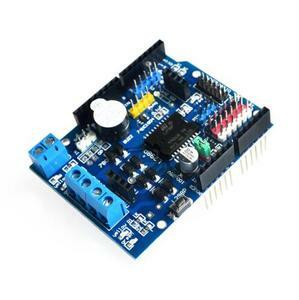 The top supplying country is China (Mainland), which supply 100% of motor shield arduino respectively. 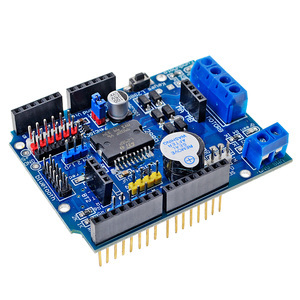 Motor shield arduino products are most popular in North America, Western Europe, and South America. You can ensure product safety by selecting from certified suppliers, including 16 with ISO9001, 1 with Other certification.